Call 911 Restoration at your earliest opportunity to protect your home, investment, and immune system against the ancillary effects of diabolical water damage. Aside from plumbing and roof leaks, one of the worst disasters is from appliances. When these modern day necessities break, they pump water into your home at an alarming rate. Often times the water is contaminated with bacteria from whatever the machine was cleaning. This disease-ridden disaster can lead to serious complications with your property and your body. Rely on the absolute experts to save you and your building from decimation. We carry the ability to stop floods in their tracks. In turn, that water can work its way into the floorboards where wood rot and mold thrives as well as spread diseases throughout the interior of your home until it creeps into your body. While we can’t heal you and you should rely on a licensed doctor for such treatment, we can cure your home and remove the disease causing elements. Whether you are facing flooding in your basement, a rain leak in your roof, a pipe burst or any other water crisis, our crew will be on the scene quickly with the latest drying technology in tow. 911 Restoration Ontario is without a doubt the leading water damage restoration company in the area. We are proud to be able to raise your home from the proverbial dead if water makes it unlivable. We know just how to restore the deepest water damage. We have the equipment to eradicate all mold spores. We will locate and stop the source of the water and efficiently remove every trace of moisture from your home to stop the damage in its tracks. 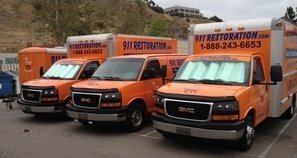 911 Restoration Los Angeles offers a free inspection for flood cleanup estimates, as well as mold remediation, sewage backup, and fire damage, because we always put the customer first and know finances can be tight when you need water damage restoration of El Segundo companies. We are working with all insurance companies to get you an affordable price on all restoration services. Thanks to our years experience, our water damage restoration of El Segundo specialists can tell exactly what your home needs and give an accurate estimate no matter how long your flood or leak has lasted. We can also tell if you need mold decontamination or plumbing replacement. By the time 911 Restoration leaves your property, you will know how to get rid of the current flood, how much it will cost and how to prevent it from happening again. We are available 24/7/365 and respond within 45 minutes. 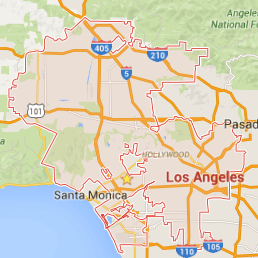 Give our water damage El Segundo team with 911 Restoration Los Angeles a call for a free inspection and the most comprehensive water damage restoration of El Segundo today!